This statistic shows the results of a survey conducted in the United States in March 2017, by community. U.S. adults were asked if they had an inpatient hospital treatment in the preceding five years. 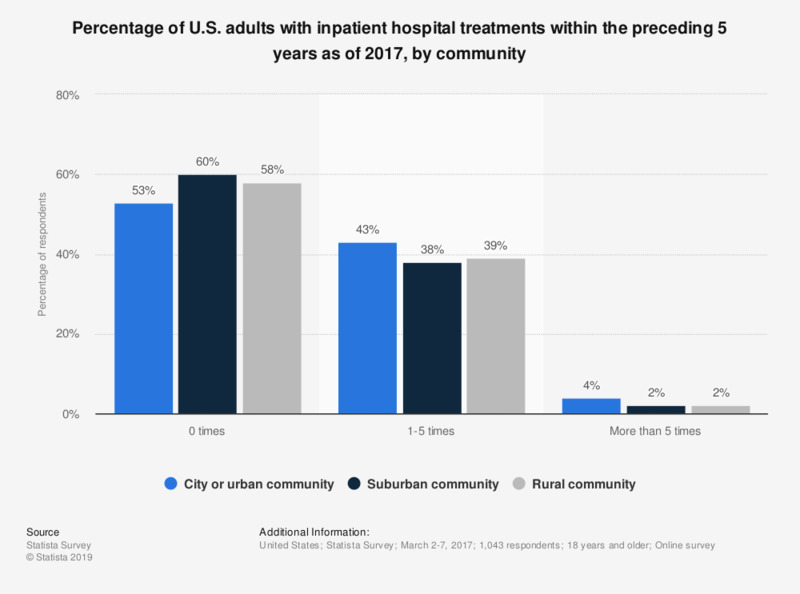 According to the survey, 4 percent of those living in city or urban communities had 5 or more inpatient services within the last 5 years, compared to just 2 percent of those living in rural communities.